As a leader in the air freight industry, we always continue to provide innovative air freight solutions. We are your new choice for the import and export of goods from China and Europe. We offer customers protected, secure storage solutions for inventory overflow, product distribution, and consolidation purposes. Reliable and service you can count on. Trustworthy and acting in your best interest. Informed and understanding your individual requirements and needs. Comprehensive suite of services and a one-stop partner. We have experienced and professional bilingual customer service agents to provide a bespoke service tailored to your requirements. DDP custom clearance ensures timely delivery of goods. Clients can benefit from our secure overseas warehouse facilities, taking advantage of our advanced stock management systems to keep track of your goods. We are also able to offer a range of competitive cargo insurance options. We cooperate with international mainstream logistical channels to ensure the best price performance options for our customers. We choose Rushbox as our long-time logistics partner because of their great services and stable timeliness. We also tried other logistics companies and finally we found that they can not meet our needs on timeliness and goods safety. 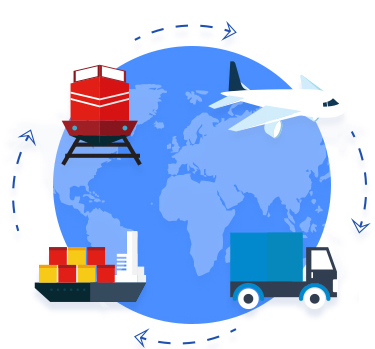 Rushbox helps us on fast delivery on goods and enhance our customer satisfaction then we realized our sales volume double and redouble growth. Warehouses blasting is very popular during peak seasons, while we are content with the performance that Rushbox shows in emergency or daily issues on these days. It provides us with perfect first shipping and mature overseas warehouses, which plays a great support role in busy seasons. They are experienced and excellent. Why we choose Rushbox is that it really does well on customer service. We used to cooperate with other overseas warehouses providers, finally it turned out to be unsatisfactory. No tracking number provided, or no response on goods lose. However, Rushbox handles very well. They inform us once such cases occur and provide their solutions in a short time. We trust Rushbox. Money is not a problem for us on condition that you can truly provide great services that we need. When choose our logistics supplier, we are finally conquered by Rushbox. They not only solve the language problems but also the time difference. Our inquiries or questions can be quickly fixed anytime. We also learn a lot from Rushbox on cross-border logistics knowledge.